Sparco Steering Wheel - Karting - K300 UNIVERSAL - Lesher Motorsports, Inc. 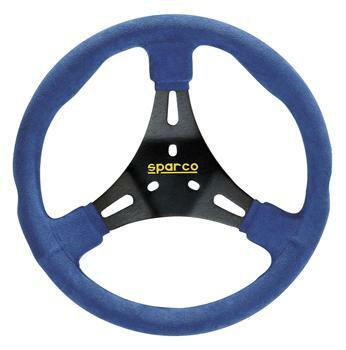 The Sparco K300 kart steering wheel has a classic rounded design. Made with a soft rim and the finest Alacantara finishing, the K300 is lightweight and stylish. Available in blue and red.